Pauline joined AC4S in 2004. She founded Network Accounting Solutions – a private accounting firm that specialized in small business development and valuations. She managed client portfolios in excess of $20 Million. Ms. McPhail has worked at both large and small corporations in both commercial and government environments. Her experience includes international business operations, implementing corporate enterprise resource systems, exploiting new growth opportunities, strategic planning, resource allocation, cost accounting, government auditing, tax compliance, and organization development. 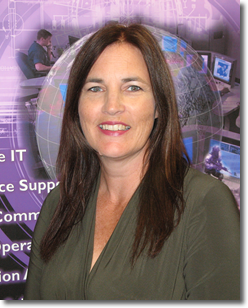 She has assisted the government with creating new audit techniques and is an expert in government accounting and contracting and is respected by government officials from both the Defense Contract Audit Agency and Defense Contract Management Agency. She is a graduated with honors from the University of South Florida with a Bachelor in Science in Accounting.